YouTuber Many A True Nerd used a mixture of stealth, cunning and running away to complete Fallout 3 and all its DLC without dying, consuming no healing items to aid him in his masochistic quest. How much of our list of best PC games could you get through without biting the bullet? Many A True Nerd runs a series called You Only Live Once where, you guessed it, dying is kind of a no-no. His latest target for a no death run was Fallout 3 and all its DLC, and by golly gosh he did it. This video shows his final hour as he assaults on Enclave base at the end of the Broken Steel DLC. Check that out, along with a highlight reel of the best bits, in the video below. Be warned, though, as there are copious used of the word ‘flip’. 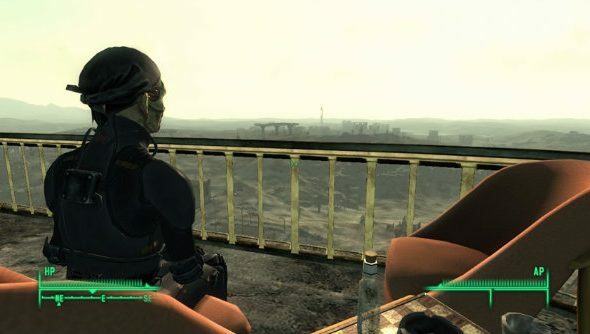 Many a True Nerd even goes as far as tallying a ‘true health’ count, as Fallout 3’s health regeneration skewed his actual health bar. I would have been impressed enough even if he didn’t account for this discrepancy, but here we are.